In published works of Sankaradeva, there are a large number of passages which have not been critically appreciated as yet and a proper linguistic appreciation of the perusal has become imminently important. We must, in this regard, have with us the manuscripts written in Sasipat and Tulapat. We must make sure that the Vaisnavic cultural significance and continuity must be preserved properly. 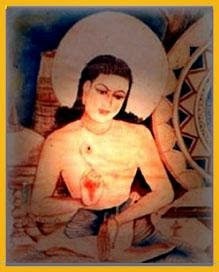 We have, by now, a good amount of research studies in Assamese, English and Hindi on the Literary and Cultural works of Sankaradeva in the context of Vaisnava movement with specific reference to the Indian literature and culture. There is, however, enough scope to undertake a linguistic study of the vest literary works of the saint and this endeavour is aimed at a general study on the linguistic aspects of his works. Though this is expected to be a tedious work to prepare a critical appreciation of the vast range of literature. It is also important to note that the original manuscripts (written in Sasispat) have during the last centuries been repeatedly edited and in due course have lost the original vitality. So it has become urgent necessity to prepare an acceptable version of the entire work. There are number of problems in this regard. The copyists of his works have often drifted away from the original manuscripts with additional and omission of words. The original manuscript or the scripts written as per the dictation of the author have become extinct. Even though some people claim to have original scripts it is not all reliable. With the growing popularity of the literature of Sankaradeva, its publications have continued to increase and with distinct perusal differences. There are reasons however. Poetry/ Verse: (i) The Harichandra Upakhyana, (ii) The Rukmini Harana Kavya, (iii) The Ajailopakhana (Bhagabata Book-6th), (iv) The Amrita Mathana (Bhagabata Book – 8th), (v) The Bali Chalana (Bhagabata Book – 8th), (vi) The Gajendropakhana and (vii) The Kurukstra (Bhagabata Book – 10th). Dramas: (i) The Patni Prasada, (ii) The Kali Damana, (iii) The Keli Gopala, (iv) The Rukmini Harana, (v) The parijata Harana and (vi) The Rama Vijaya. The Tales of Rama: (i) The Ramayana (Uttara Kanda). The Tales of Bhagavata/ Krishna: (i) The Maha Bhagavata - 1st, 2nd, 6th , 8th , and 10th (Adi or Purvadha) 11th & 12th (Skandha). Doctrinal Treatise: (i) The Bhakti –Ratnakara (Sanskrit). Bhakti Works (Assamese): (i) The Anadi Patana (Bhagabata Book No. III/ Vamana Purana), (ii) The Bhati Pradipa and (iii) The Nimi-Nava-Siddha-Samvada. Two important editions of the works of Sankaradeva, one - (i) Sri Sankar Baikyamrit (1953) by Sahitya Ratna Harinarayan Dutta Barua and (ii) Sri Maha Purush Sri Manta Sankaradeva (1997) by Sri Manta Sangha. The distinct styles of languages are observed in his works, (i) Ancient Assamese, (ii) Brajabali and (iii) Sanskrit. In the Borgeets and Dramas – Brajabali style is dominant which in Bhakti Ratnakar, Totaya, the lyrics in the drama – Sanskrit language is mainly used. In other works the ancient Assamese style is used. An emendation however ingenious must be rejected if it is linguistically out of harmony with the language current in Sankardeva’s time. The linguistic analysis of the language of Sankardeva has been undertaken by the author as his study programme and tried to present here a detailed analysis of it. In other works, we find a delight in the pattern of language for his own sake leading to use of many rhetorical flourishes. In Sankardeva’s works preoccupied with the mechanics of languages, phonology, morphology, syntax, vocabulary, idioms and rhetoric etc. Sankaradeva wrote out a time when the elaborate rhetorical rules of the middle age of Assam were breaking down. The language was changing quickly and there are much linguistic freedom. The language of Sankaradeva’s vocabulary show an interesting mixture of words. They are divided into some groups – Tatsama, Tatvata, Deshi and Bedeshi (like Arabi and Persi) words etc. There are some words stories to a modern reader which cause no difficulty to one familiar with middle age of Assamese Language. There are innumerable examples of the use of words in the works of Sankaradeva is etymological sense. Knowledge of etymology can help us to recognize the meaning of familiar word used by him is an unusual sense. From the linguistic point of view the value of the language of Sankaradeva is very importance. It fully presents the old Assamese language and Assamese Vrajawali (Vrajabuli) language of that time i.e., 15th and 16th century A.D. the works of Sankaradeva command over linguistic element was indeed wonderful. Thus he gave a solid foundation of the Assamese Vrajawali (Vrajabuli) language as a medium of subtle thought and literary expression. That is why an exhaustive linguistic analysis of the language of Sakaradeva is very essential particularly in the study of the history of the early and Medieval Assamese language.